Getting dinner ready for a busy family can be challenging when you’re a busy, working parent with an active family schedule. 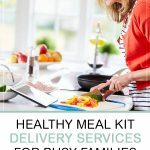 But meal prep and delivery services have come in to rescue overwhelmed parents from the daily question, “What’s for dinner?” Although I was not initially a fan of these services, I can see the benefit of these services to families who simply struggle to make a meal plan for the week and prep healthy meals at home. 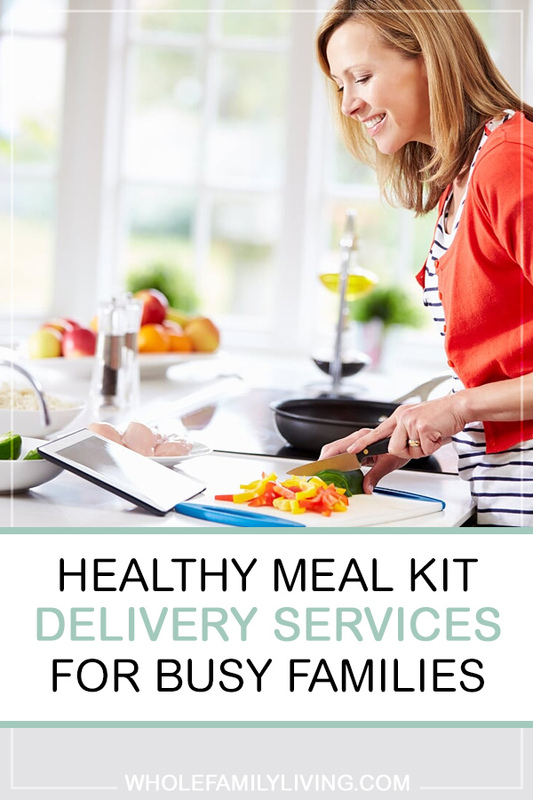 If you’ve been frazzled by creating healthy meals at home – and ending up at the takeout restaurant or drive-thru more often than you’d like – maybe it’s time to look at the possibilities of a meal kit delivery service to see if it is a good solution for your family. I’ve rounded up my top picks for meal kit delivery services. Many of the delivery services are now catering to busy, active and health-conscious families. I drilled down into these services to give you a clear picture of what to expect from each. The information below is accurate as of the writing of this post, but I encourage you to check out each site for yourself to explore the options. Blue Apron makes it easy for busy families to prepare healthy meals week after week. Their kits include pre-measured ingredients and step-by-step recipes for three meals that feed a family of two, four, or six. They offer six recipe options each week. Blue Apron’s kits are packaged for less food waste as everything is pre-portioned. Their plan is flexible and you can skip a week if none of the items appeal to you. Another bonus is that meals can be personalized for food sensitivities, allergies, or other preferences like red meat, fish, or shellfish. Where does Blue Apron deliver: Nationwide (except Hawaii and Alaska). How they deliver: Ingredients are carefully packaged in a refrigerated box so food stays fresh even if you’re not home when we deliver. What we love about Blue Apron: Blue Apron is all about providing their “home chefs” with non-GMO ingredients. What we’d love even more: We’d love to see more organic products on the menu! Freshly offers fully-cooked, chef-prepared meals for delivery. These are perfect if you’re time-pressed as their healthy meals for busy families are sent straight to your door already prepared. When they arrive, they’re ready to eat right away. No work on your part! You can choose from four, six, nine, or twelve meals per week. They are constantly rotating the meal choices, so you and the family will never be bored. Where they deliver: 21 states across the country, and expanding. How they deliver: You do not need to be home. Your Freshly box is insulated and packed with ice to ensure that your meals stay nice and cold on your doorstep, waiting to be refrigerated when you get home. What we love about Freshly: Meals are fully cooked when they arrive. 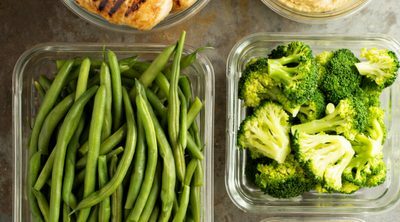 If you’re really pressed for time this might be the healthy meal kit for you. What we’d love even more: Nothing besides wishing their entire menu were organic. At last, a USDA-certified organic meal kit! Green Chef meals won’t contain any growth hormones, antibiotics, synthetic pesticides, or GMOs. This health-conscious meal kit service is for the family that is big on clean eating. Green Chef offers five different menu types including carnivore, omnivore, vegetarian, keto, paleo, and gluten-free. And their packages are color-coded, each containing three recipes and ingredients to feed two or four family members. Their flexible plans allow you to try different recipes week by week and skip whenever you need. And their meals can be prepared in under 30 minutes! Where they deliver: Nationwide (except Hawaii, Alaska, and parts of Louisiana). How they deliver: Green Chef boxes are packaged with an all-natural material made from jute, which provides really good insulation. What we love about Green Chef: Um, all of their meals are organic. What we’d love even more: Can’t really think of anything. Hello Fresh helps you whip up tasty meals with simple recipes and fresh ingredients every week. Each of their boxes contains easy-to-follow recipes with clear nutritional info. They offer fresh ingredients sourced from farms. Most of their meals take no more than 30 minutes to prepare. The Family Plan feeds a family of four and has the option of two or three recipes per week. There’s a Veggie Plan which offers vegetarian recipes with plant-based proteins, grains, and seasonal produce. The Hello Fresh subscription plan is flexible and allows you to skip a week. For instance, if you’re not a fan of certain ingredients, you can always skip that week by canceling before your weekly cut-off. How they deliver: You don’t need to be home to accept a delivery. Hello Fresh boxes are layered with insulating liners and ice packs to keep ingredients cool until you get home. What we love about Hello Fresh: Their meals are fresh and sourced from local farmers. And the plans are flexible and can be customized to any family size. What we’d love even more: Currently they offer only dinner meals. We’d love to see options for lunch and breakfast! One Potato offers fully-prepped meal kits of fresh, organic food for busy families. 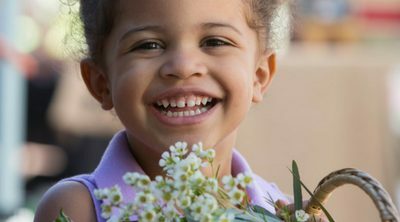 Subscribers choose from their two, three, four, five, or six potato plans (how cute!). We love the One Potato pricing because it’s customized for kid-sized meals. You never feel you’re over-paying for meals that may be too large for your kids. And the best part? Their meals are organic!! Oh, we already mentioned that, didn’t we? One Potato meal delivery kits include ingredients that are measured, chopped, ready to prepare. Their meals also include a “surprise” each week – their special organic slice-and-bake cookie dough. YUM! How they deliver: Your One Potato meals are packed in a recyclable, insulated box. What we’d love even more: A broader variety of weekly surprises. Cookie dough? Every week!? That’s not really a surprise. Need help getting dinner on the table for your active family? Plated helps with this by doing most of the work for you. They do the heavy lifting; all you have to do is cook! Just choose meals each week for the following week, and all the ingredients for those meals will arrive at your doorstep ready to be cooked and enjoyed by your family. Plated offers quality ingredients including pork and poultry responsibly raised without antibiotics, beef raised with no added hormone, sustainably caught fish, and fresh, seasonal produce with organic when possible. And the pre-portioned ingredients, neatly packed by recipe, along with the step-by-step instructions make cooking home-made meals for the family a breeze. Where they deliver: Plated delivers to over 95% of the United States. No delivery in Hawaii, Alaska, and a few cities in Texas. How they deliver: The Plated box is insulated to keep everything fresh until midnight. What we love about Plated: Plated has an option to add dessert! What we’d love even more: Family-friendly portioning. 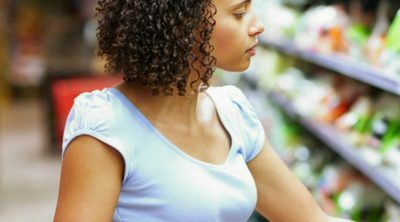 Whatever diet you follow – strict vegetarian or vegan – you can’t dispute that having more veggies on your plate is part of a healthy diet. And Purple Carrot helps you and your family to achieve just that with their healthy, plant-based meals. Their plans are customizable for any family size and include a Regular option or their High-Performance version which are higher in protein and always gluten-free. Both plan options are for three meals per week. Just choose from the available recipes each week and your box will arrive with fresh, perfectly portioned ingredients that are ready to cook and enjoy. How they deliver: Boxes include high-quality, reliable insulation and ice packs which work together to keep your food at a stable, cold temperature throughout shipping and delivery and fresh for up to 72 hours depending on outside weather conditions. What we love about Purple Carrot: The Purple Carrot meal plan leaves no question about the amount of plant-based nutrition you’re getting at every meal. What we’d love even more: More recipe options. I only saw three options when I visited the menu page on the website. Sun Basket is a certified organic meal kit retailer. They boast a commitment to providing the best organic produce, antibiotic- and hormone-free meats, and sustainably sourced seafood from their suppliers. 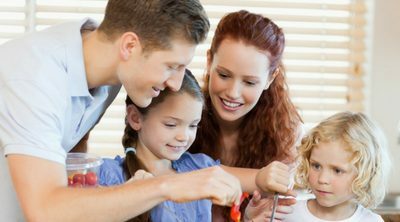 They offer a Family Plan that allows you to choose from six family-friendly recipes each week. You can choose from the Family Menu or the 18 recipes on the Classic Menu, so you’ll never run out of things your family loves to eat. But wait, there’s more. The Family Plan boxes also contain tips on how kids can assist with each meal! And they keep things fun for the family with weekly themes like pasta night or taco night. There are options for dietary preferences – like gluten-free, vegetarian, or paleo – and they offer breakfast options too. What we love about Sun Basket: Got picky eaters? Sun Basket offers a wide variety of recipes with 18 weekly meal choices. What we’d love even more: Nothing really. How would you like regular delivery of pre-cut farm-picked produce, antibiotic- and hormone-free meat, and sustainably-raised fish to prepare meals your entire family will enjoy? Terra’s Kitchen covers all of this and more. Their recipe choices also include vegan, vegetarian, low calorie, paleo, and gluten-free options. Each delivery includes step-by-step recipe cards and promises a prep time of no more than 30 minutes. Terra’s Kitchen also offers Family Meals, four-serving meals with pre-prepped and portioned ingredients. Worried about spoilage of your meal kit as it awaits your arrival home? Terra’s Kitchen has thought this through. They deliver your ingredients in a neatly organized, climate-controlled “delivery vessel.” They will pick up the vessel the day after delivery so it can be re-used (up to 100 times). Where they deliver: Check their site to see if your zip code is within their delivery area. How they deliver: Your items arrive in a climate-controlled delivery vessel. What we love about Terra’s Kitchen: Meals typically prep in 15-30 minutes, giving you back lots of time in your busy family schedule. In addition to meal kits, they offer ready-to-eat lunches, healthy snacks, and more. What we’d love even more: Simpler pricing and options. Get more like this every week by joining my newsletter! I’ll send you weekly tips and solutions to help your family thrive in health, work, and home. As a thank you, I’ll also send you a free copy of our new guide “Smart & Healthy Kitchen Hacks for Busy Families.” It’s packed with tips and shortcuts to plan and prep healthy meals, cut time in the kitchen, and lower your grocery bill. Sign up free below. 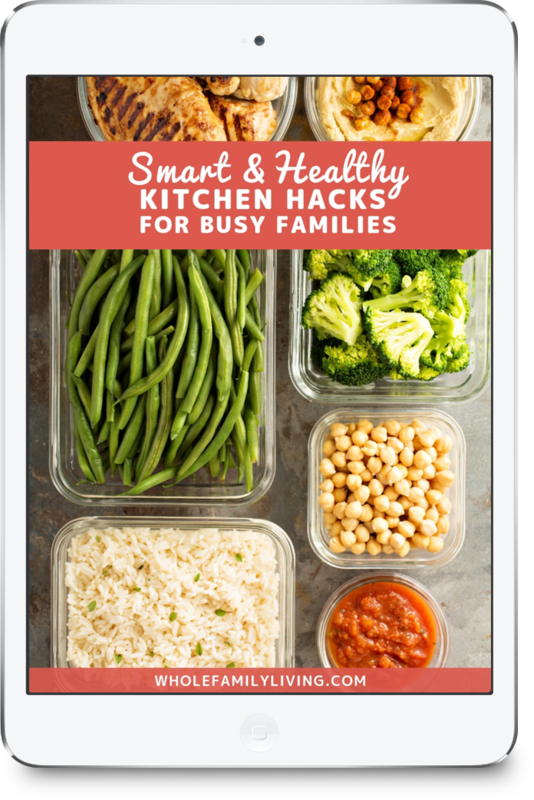 Get our newest guide"Smart & Healthy Kitchen Hacks for Busy Families" as a free gift when you sign up for our newsletter. Enter your details below to get subscribed and receive your guide.